Give us an idea, a project, a storyboard and we create on your plans the entire edited and ready-to-use animation. Our animations can integrate in a original and esthetic fashion your existing photos, videos and ambient sounds to create a dynamic and good-looking animation. This kind of animation is often users for conferences, corporate videos and special anniversaries. It allows to mix various sources of images with textual and factual information, allowing to describe your products, your history and the people who made it. Brief : Create a short video clip to commemorate an hostage crisis in a bus. This story, based on true events, should insist on the heroic efforts of the crew who led to a peaceful ending of the crisis. The crew received the Grand Prix d’Honneur from the IRU. The typographic animation (typo-anim) uses texts and vector objects to create powerful, yet simple and easy to watch, video presentation. The texts, who usually display in a traditional manner are now originally and dynamically twisted so as to form an esthetic way to retain the attention from the public. All the animation can be accompanied by a voice-over to emphasize on the high notes of the video. To create a typographic animation, it is necessary to prepare a script. This script will serve as a basis for our animation team. We will time it and prepare the animation in such a way that you can review progresses every day and feedback on it. 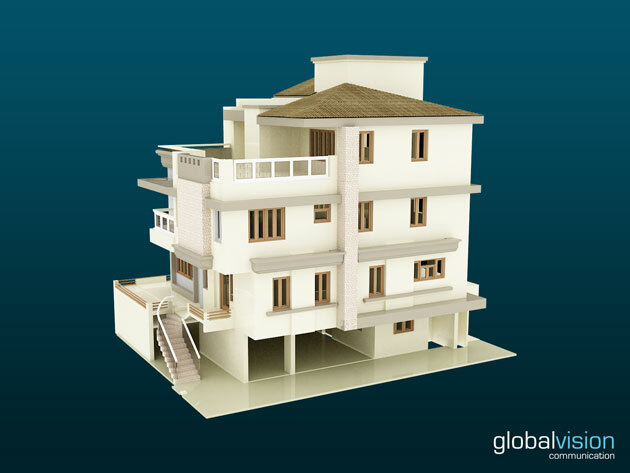 To enhance the visual attractiveness of your presentations, illustrate your projects, your PowerPoint documents and more dynamism to your advertisement materials, or website, our 3D animators give shape to your ideas, transform your architecture plans into buildings, give life to empty spaces and allow to models of your prototypes. Our quality-work in 3D modeling and photorealistic outputs ensure to give your projects and products the best possible look. To model 3D animation movies, every scene and every object you can see is modeled with great care using a specialized software and the output is done in such a way that guarantees a photorealistic result of all textures appearing on images. Our 3D processing routine makes sure that your 3D animation will look like real scenes and get a warm welcome by your audience. We create films to be displayed online or on your company public relations materials. Our movies are adapted to your output requirements, up to 3D animated movies in Full-HD (1920×1280). Creating such an animation requires tremendous computing power, careful planning and effective scenario. We also create movie animation mixing 3D and photo/video elements. These movies’ advantages reside in the fact they require slightly less image processing and can thus be created in a quicker timeframe. Slideshows are created using Microsoft Powerpoint and can embed text, images, sounds and various other multimedia elements. We can import and integrate our graphic elements, as required to bring your slideshow to the next level. This type of animated slideshow is really cutting edge visual display and will certainly get attention and leave a long-lasting impression to your audience. We create complete slideshows with embedded texts, photos, graphics, charts, videos and whatever multimedia files you can think of. These slideshows are exported as a single integrated .exe file, which contains all necessary elements and does not require any installation or plugin to work. Easy to work with, impressive to display. Brief : Create an animation to be display on the background, to illustrate the speech of the SI/E President. Creating hyperzoom animation allows to focus your public on a particular geographic area you would like to emphasize on. We use satellite imagery and photorealistic 3D model to dive from space into your facilities. We allow you to show your office, factory and any point of interest in a hyperzoom way that will blow away your audience. We create hyperzoom animations for your conferences and congresses, but we can also use them for corporate movies, TV commercials and special events. The production time is about 24 hours after request and approval. Brief : Create an hyperzoom animation to center on the company’s corporate headquarter in Geneva.